What do you think about when you hear “chiffon pie”? I think of it as rather retro – a dessert not as popular as, say, in the 1950s. However, my recent experience making one convinced me that there should be a chiffon revival (pie, not the fabric, though I guess they could go together…). 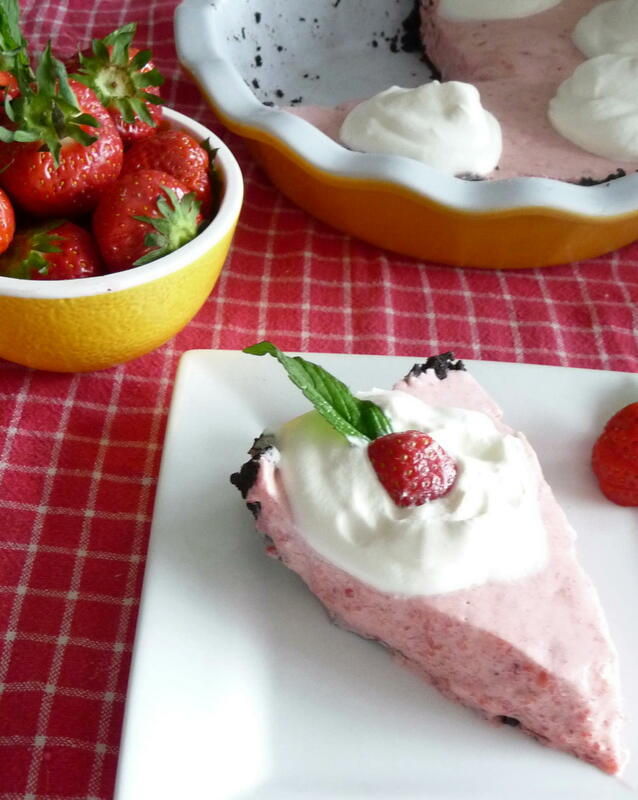 For Canada Day, I wanted to incorporate red and white as well as use the strawberries, which had just started to ripen locally (late after a rainy spring). For reasons totally unrelated to these objectives, I was paging through intriguing cookbook, Kathy Casey’s Northwest Table. In this fine transnational cookbook, I stumbled upon the subject of this post and decided I had to make it. About a decade ago or so, there was a movement of people across the border, in British Columbia, Washington, Oregon, and maybe Alaska – although I do not believe that Sarah Palin was ever part of this effort – to create a region called “Cascadia” as a geo-eco-political realm. Of course, there is no such Cascadian entity, but I can just imagine its Nu-agey anthem, with Enya chanting “Cascadia” repeatedly, in her wispy way, in a heavily acoustic hypnotizing song. 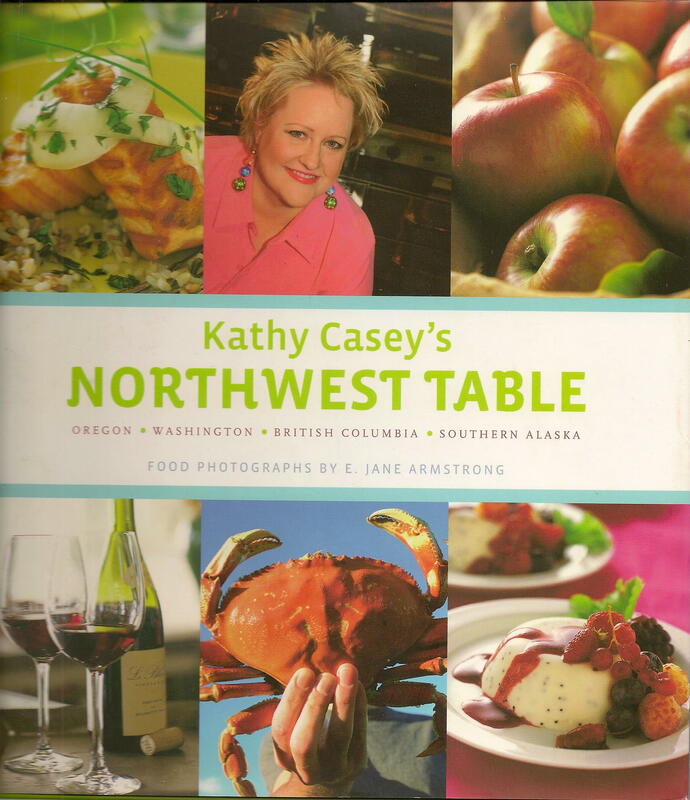 However, there is one cookbook which unites much of the territory of Cascadia. Ms. Casey’s book features extraordinary photographs of the landscape as well as the dishes. She really is big on the local-locavore-field-to-table-sustainable thing, which works well out here, with the abundance of seafood, berries, fine wines, green pastures, and lush fields, made possible by all the rain. There was too much rain and cool weather in British Columbia this spring, so the strawberries ripened later than usual. The strawberry season here is usually quite short, so I try to do something significant to mark the occasion of our smaller, more intense sweet berries – nowhere near the immense size of the California imports available year round (and generally with little flavour). 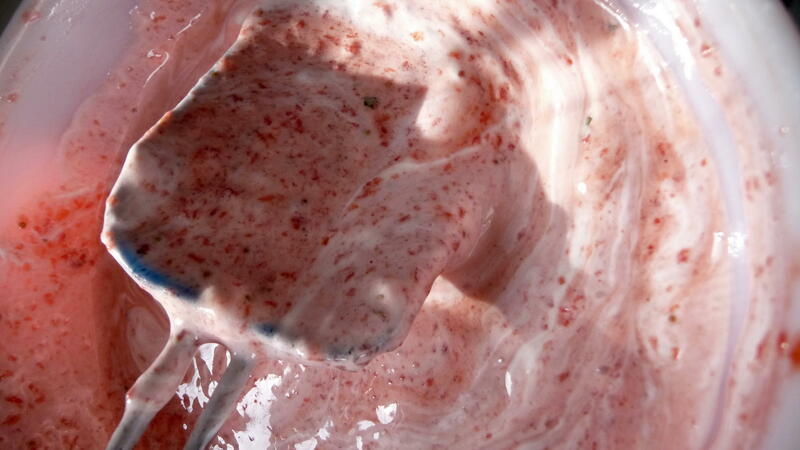 Folding strawberry mixture with cream, then with egg whites, can be time consuming. My comments about this recipe – and the other chiffon pie I had made once (a blood orange one) is that they are a bit time-consuming, both in preparation and chilling. 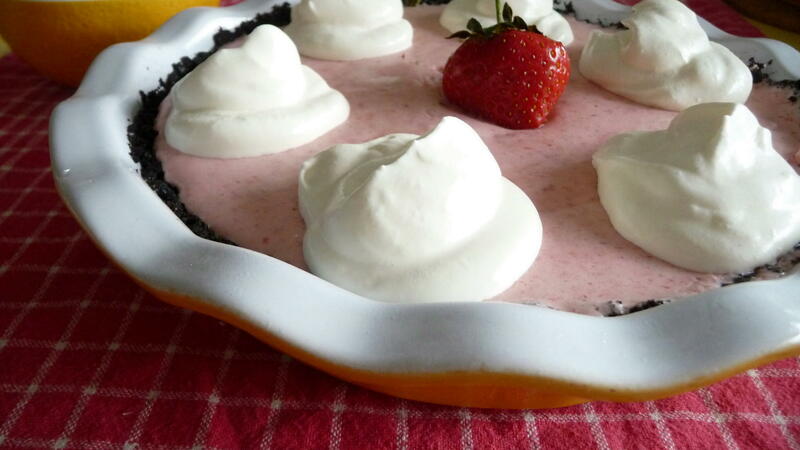 Nonetheless, they are good for hot weather, as they have very minimal baking time just for a cookie crust, highlight seasonal fruit very well, and tend to be lighter than many cream pies (egg whites and gelatin help provide the body in the pie filling, in addition to a modest amount of whipped cream).